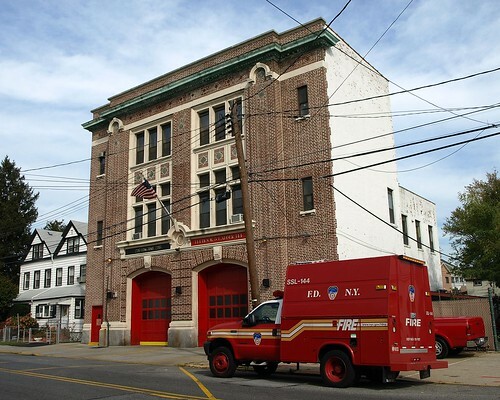 "Actually, though the quarters of Engine 295 - Ladder 144 hasn't changed too much, its location was changed considerably. The entire building pictured was moved from 14-09 149th Street to its current location of 12-49 149th Street. This was done in the late 1930s to allow construction of the Cross Island Parkway."